I just bought a second hand easel for quite cheap. 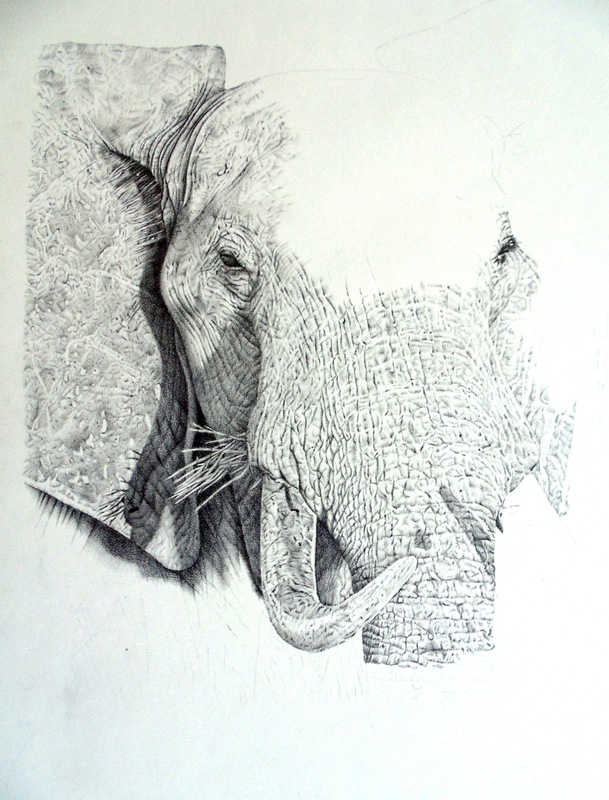 I’m very happy with it because it’s a lot easier to work on bigger drawings like this on an easel than on a table. easier to reach every part of the drawing. So I’m q unite happy with my easel and also with the progress of my drawing. 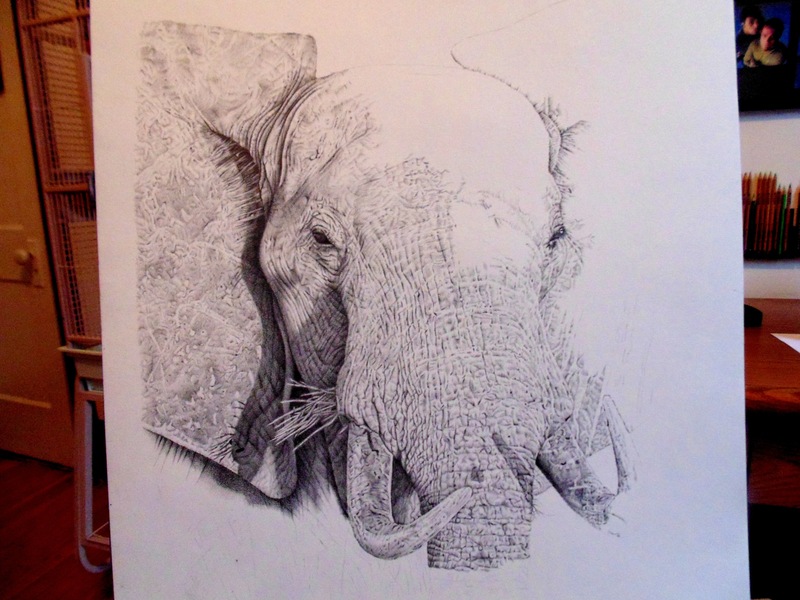 Working hard on the elephant drawing. He has a right eye too now, so he feels a bit happier. I have been working on this drawing for 37 hours now (not in a row of course). 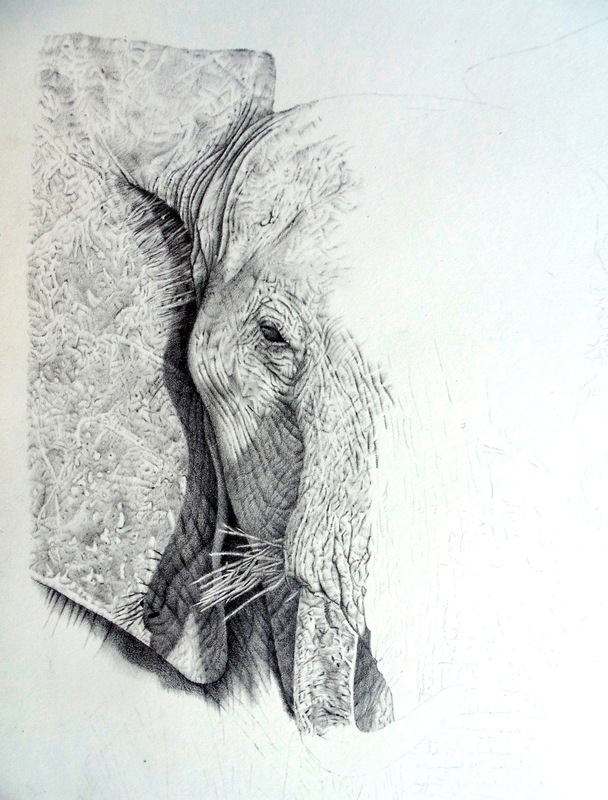 I’m working on the details of his trunk now. 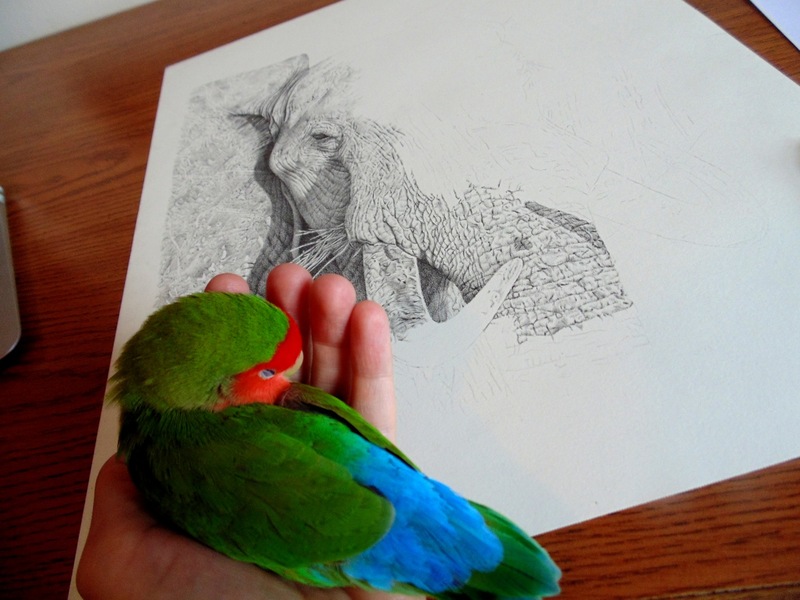 Here is my sweet little feathered friend sleeping in my hand while I’m working on my elephant drawing. 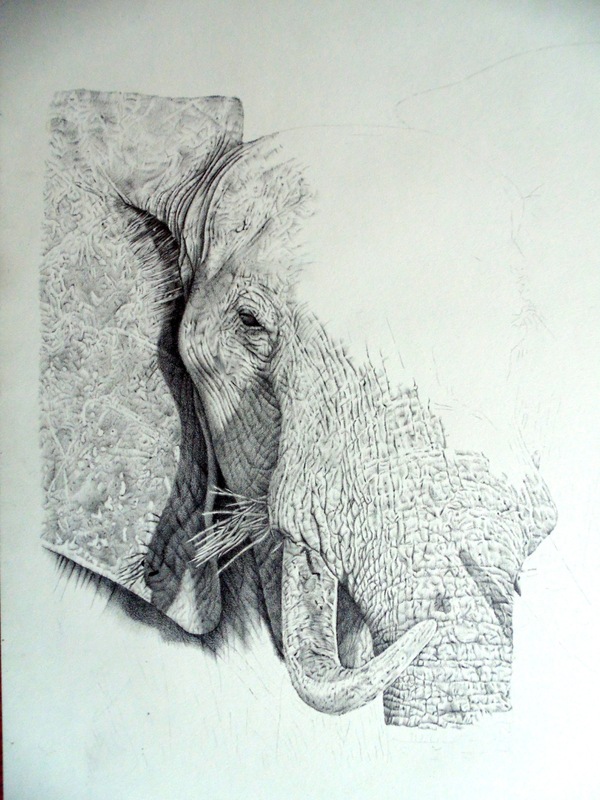 I’m working hard again on my elephant drawing. I’m having lots of fun with it. Until now I have been working 34 hours in total on it. 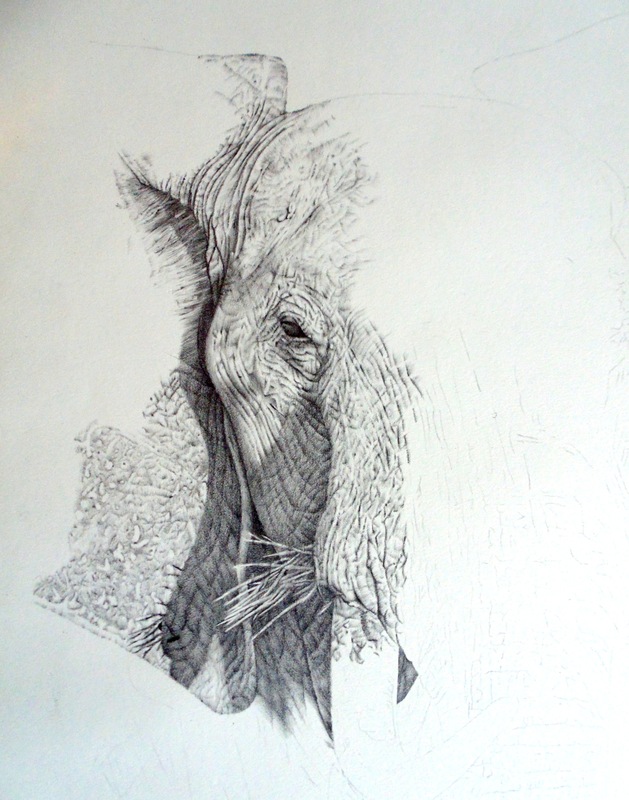 Working hard on my elephant drawing. I have been working on it for 25 hours now. 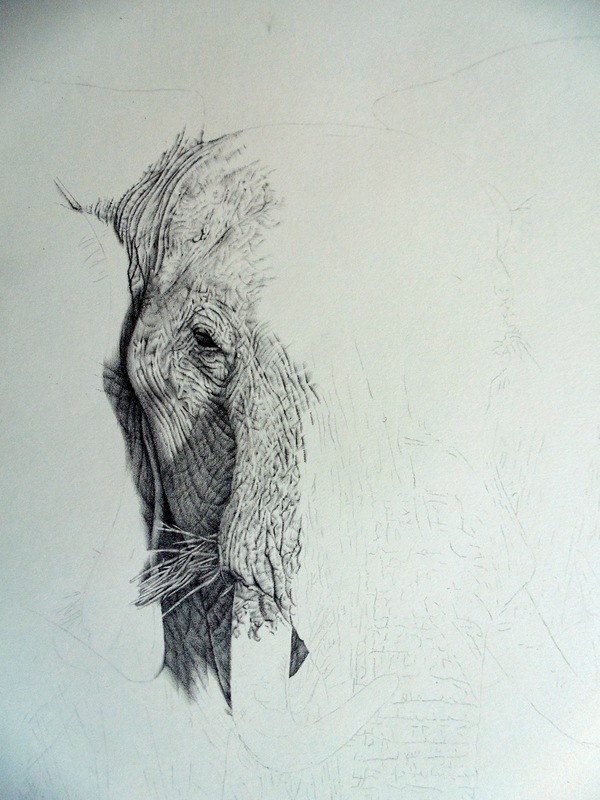 Working hard on my elephant drawing.